Today’s marketing tactics are very adaptive to technological changes and innovations. Social media platforms are constantly utilized to full potential. You can see this with robust display and text ads on Google Ads’ networks; Facebook, Instagram and other networks’ taking helm with sponsored posts, events; sponsored video content on YouTube; native and viral advertising and marketing campaigns often originating on social media and much more. AI and machine learning is even being utilized for marketing campaigns. Chatbots are for instance now being utilized in Facebook Messenger to drive sales and leads as well as answer questions. Websites are being tested in A/B tests as well as other tests to be the most visually alluring as possible. These are just some examples of today’s best marketing practices. However, one thing that may be missing from all these innovative new methods of marketing and that is the human element. And this is the thing that Cyprus-born entrepreneur Jad Mawlawi aims to change with his startup marketing platform Dooply. Mawlawi is the co-founder and CEO at Dooply and it was founded in late 2017. Mawlawi aims to shake up with marketing landscape with a platform that brings human-to-human interactions back into modern marketing practices. Jad has a very interesting history and it is this history that shaped him as an entrepreneur. His experience growing up in Lebanon during a time of unstable political turmoil and losing his brother at 17 due to cancer has strengthened his drive in business and life. It has also shaped him into analyzing human beings and the way they adopt to economic change. Businesses today are able to leverage human data on a scale never before seen. Machine learning algorithms, AI, big data analytics and various technologies like chatbots are being used to analyse the data and respond to changing market conditions or shifts in customer habits. However, this is causing companies to rely more on such technologies and not the human element of interacting with other people, especially potential customers, on a personal level. Jad emphasized that millennials are targeted so heavily by visually-alluring advertising and pop-ups everywhere (most notably online and on social media), that they are no longer responding to it. This is also why breaking into a new market can be difficult for startups and companies shifting focus by trying to break into new markets. According to Mawlawi, the problem lies in long-term sustainability of a message. A company’s message should be revamped after a time or when a new product or service is introduced. 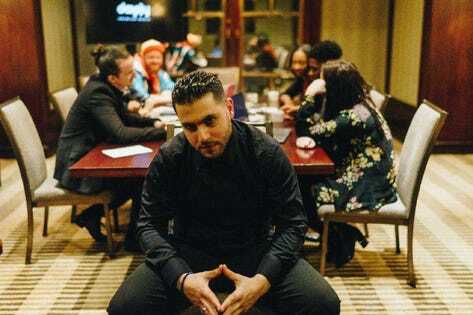 However, revamping a message could mean losing grip on an audience and the problem, said Mawlawi, lies in the fact businesses “pitch” messages rather than “connect” with their audiences. Influencers on social media platforms may be the key for this to occur. Influencers are powerful social media icons that garner tons of followers with a lot of coverage, likes, viewers and interaction with their content. These are the people that can drive the marketing and resonate a brand message across various technologies. Shifts in human thinking and the business practices that come along with that have varied greatly in human history. As technology, such as big data and AI, have taken focus away from the human element, maybe the idea of a human influencer can be seen as a nuisance or a threat. It is also not easy for companies to find the right influencers for their brand needs and convince them to focus on their products. Building a relationship can take time and when entrepreneurs establish a persona for their brands by using influencers along with other human elements of interaction, this can separate them from competition. Humanism took ahold of human thinking when everyone’s mind was dominated by supernatural elements and thoughts, according to Mawlawi. Later the renaissance enlightened human thought and took it in a new direction. However, today the new supernatural force is technology and it is what our minds are being dominated by. However, he stresses that humanism can be redefined and reintroduced to the business culture. You can read more about Mawlawi’s experience in co-founding Dooply from his own words on Medium. The idea behind it changed multiple times from aggregating multiple influencers’ content under one roof to building a relationship with a few key influencers and their content based in the company’s home city of Brighton, England. Multiple technologies are also underlying Dooply, which Mawlawi refers to as “an organization,” including a detection system of fake followers that many businesses are struggling with due to the fact such followers are not a representative of a real customer base.